For other uses, see Will-o'-the-wisp (disambiguation). A will-o'-the-wisp (/ˌwɪl ə ðə ˈwɪsp/), will-o'-wisp (/ˌwɪl ə ˈwɪsp/), or ignis fatuus (/ˌɪɡnᵻs ˈfætʃuːəs/; Medieval Latin for "foolish fire") is an atmospheric ghost light seen by travellers at night, especially over bogs, swamps or marshes. It resembles a flickering lamp and is said to recede if approached, drawing travellers from the safe paths. The phenomenon is known by a variety of names, including jack-o'-lantern, friar's lantern, hinkypunk, and hobby lantern in English folk belief, well attested in English folklore and in much of European folklore. The term "will-o'-the-wisp" comes from "wisp", a bundle of sticks or paper sometimes used as a torch, and the name "Will": thus, "Will-of-the-torch". The term jack-o'-lantern "Jack of [the] lantern" has a similar meaning. In the United States, they are often called "spook-lights", "ghost-lights", or "orbs" by folklorists and paranormal enthusiasts. Folk belief attributes the phenomenon to fairies or elemental spirits, explicitly in the term "hobby lanterns" found in the 19th century Denham Tracts. Briggs' A Dictionary of Fairies provides an extensive list of other names for the same phenomenon, though the place where they are observed (graveyard, bogs, etc.) influences the naming considerably. When observed on graveyards, they are known as "ghost candles", also a term from the Denham Tracts. The names will-o'-the-wisp and jack-o'-lantern are explained in etiological folk-tales, recorded in many variant forms in Ireland, Scotland, England, Wales, Appalachia, and Newfoundland. In these tales, protagonists named either Will or Jack are doomed to haunt the marshes with a light for some misdeed. One version, from Shropshire, recounted by K. M. Briggs in her book A Dictionary of Fairies, refers to Will the Smith. Will is a wicked blacksmith who is given a second chance by Saint Peter at the gates to Heaven, but leads such a bad life that he ends up being doomed to wander the Earth. The Devil provides him with a single burning coal with which to warm himself, which he then uses to lure foolish travellers into the marshes. An Irish version of the tale has a ne'er-do-well named Drunk Jack or Stingy Jack who makes a deal with the Devil, offering up his soul in exchange for payment of his pub tab. When the Devil comes to collect his due, Jack tricks him by making him climb a tree and then carving a cross underneath, preventing him from climbing down. In exchange for removing the cross, the Devil forgives Jack's debt. However, because no one as bad as Jack would ever be allowed into Heaven, Jack is forced upon his death to travel to Hell and ask for a place there. The Devil denies him entrance in revenge, but, as a boon, grants Jack an ember from the fires of Hell to light his way through the twilight world to which lost souls are forever condemned. Jack places it in a carved turnip to serve as a lantern. Another version of the tale, "Willy the Whisp", is related in Irish Folktales by Henry Glassie. The first modern novel in the Irish language, Séadna by Peadar Ua Laoghaire, is a version of the tale. Aleya (or marsh ghost-light) is the name given to an unexplained strange light phenomena occurring over the marshes as observed by Bengalis, especially the fishermen of West Bengal and Bangladesh. This marsh light is attributed to some kind of unexplained marsh gas apparitions that confuse fishermen, make them lose their bearings, and may even lead to drowning if one decided to follow them moving over the marshes. Local communities in the region believe that these strange hovering marsh-lights are in fact Ghost-lights representing the ghosts of fisherman who died fishing. Sometimes they confuse the fishermen, and sometimes they help them avoid future dangers. Chir batti (ghost-light), also spelled chhir batti or cheer batti, is a yet unexplained strange dancing light phenomenon occurring on dark nights reported from the Banni grasslands, its seasonal marshy wetlands and the adjoining desert of the marshy salt flats of the Rann of Kutch near Indo-Pakistani border in Kutch district, Gujarat State, India. Local villagers have been seeing these sometimes hovering, sometimes flying balls of lights since time immemorial and call it Chir Batti in their Kutchhi–Sindhi language, with Chir meaning ghost and Batti meaning light. Similar phenomena are described in Japanese folklore, including Hitodama (literally "Human Soul" as a ball of energy), Hi no Tama (Ball of Flame), Aburagae, Koemonbi, Ushionibi, etc. All these phenomena are described as balls of flame or light, at times associated with graveyards, but occurring across Japan as a whole in a wide variety of situations and locations. 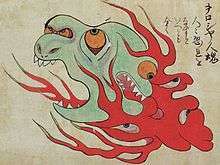 Kitsune, mythical yokai demons, are also associated with will 'o the wisp, with the marriage of two kitsune producing kitsune-bi (狐火), literally meaning 'fox-fire'. These phenomena are described in Shigeru Mizuki's 1985 book Graphic World of Japanese Phantoms (妖怪伝 in Japanese). The Australian equivalent, known as the Min Min light is reportedly seen in parts of the outback after dark. The majority of sightings are reported to have occurred in the Channel Country region. Stories about the lights can be found in aboriginal myth pre-dating western settlement of the region and have since become part of wider Australian folklore. Indigenous Australians hold that the number of sightings has increased alongside the increasing ingression of Europeans into the region. According to folklore, the lights sometimes followed or approached people and have disappeared when fired upon, only to reappear later on. In European folklore, these lights are believed to be spirits of the dead, fairies, or a variety of other supernatural beings which attempt to lead travelers to their demise. Sometimes the lights are believed to be the spirits of unbaptized or stillborn children, flitting between heaven and hell. 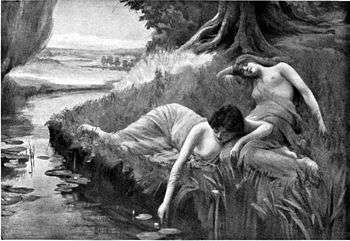 In Sweden, the will-o'-the-wisp represents the soul of an unbaptized person "trying to lead travellers to water in the hope of being baptized". Danes, Finns, Swedes, Estonians, Latvians, Lithuanians and Irish people and amongst some other groups believed that a will-o'-the-wisp also marked the location of a treasure deep in ground or water, which could be taken only when the fire was there. Sometimes magical tricks, and even dead man's hand, were required as well, to uncover the treasure. In Finland and several other northern countries, it was believed that early autumn was the best time to search for will-o'-the-wisps and treasures below them. It was believed that when someone hid treasure, in the ground, he made the treasure available only at the Saint John's Day, and set will-o'-the-wisp to mark the exact place and time so that he could come to take the treasure back. For then he could be fulfilled with treasures. The Aarnivalkea, in Finnish mythology, are spots where an eternal flame associated with will o' the wisps burns. They are claimed to mark the places where faerie gold is buried. They are protected by a glamour that would prevent anyone finding them by pure chance. However, if one finds a fern seed from a mythical flowering fern, the magical properties of that seed will lead the fortunate person to these treasures, in addition to providing one with a glamour of invisibility. Since in reality the fern produces no flower and reproduces via spores under the leaves, the myth specifies that it blooms only extremely rarely. The will-o'-the-wisp can be found in numerous folk tales around the United Kingdom, and is often a malicious character in the stories. In Welsh folklore, it is said that the light is "fairy fire" held in the hand of a púca, or pwca, a small goblin-like fairy that mischievously leads lone travellers off the beaten path at night. As the traveller follows the púca through the marsh or bog, the fire is extinguished, leaving them lost. The púca is said to be one of the Tylwyth Teg, or fairy family. In Wales the light predicts a funeral that will take place soon in the locality. Wirt Sikes in his book British Goblins mentions the following Welsh tale about púca. A peasant travelling home at dusk sees a bright light traveling along ahead of him. Looking closer, he sees that the light is a lantern held by a "dusky little figure", which he follows for several miles. All of a sudden he finds himself standing on the edge of a vast chasm with a roaring torrent of water rushing below him. At that precise moment the lantern-carrier leaps across the gap, lifts the light high over its head, lets out a malicious laugh and blows out the light, leaving the poor peasant a long way from home, standing in pitch darkness at the edge of a precipice. This is a fairly common cautionary tale concerning the phenomenon; however, the ignis fatuus was not always considered dangerous. There are some tales told about the will-o'-the-wisp being guardians of treasure, much like the Irish leprechaun leading those brave enough to follow them to sure riches. Other stories tell of travelers getting lost in the woodland and coming upon a will-o'-the-wisp, and depending on how they treated the will-o'-the-wisp, the spirit would either get them lost further in the woods or guide them out. Also related, the Pixy-light from Devon and Cornwall is most often associated with the Pixie who often has "pixie-led" travellers away from the safe and reliable route and into the bogs with glowing lights. "Like Poltergeist they can generate uncanny sounds. They were less serious than their German Weisse Frauen kin, frequently blowing out candles on unsuspecting courting couples or producing obscene kissing sounds, which were always misinterpreted by parents." Pixy-Light was also associated with "lambent light" which the "Old Norse" might have seen guarding their tombs. In Cornish folklore, Pixy-Light also has associations with the Colt pixie. "A colt pixie is a pixie that has taken the shape of a horse and enjoys playing tricks such as neighing at the other horses to lead them astray". In Guernsey, the light is known as the faeu boulanger (rolling fire), and is believed to be a lost soul. On being confronted with the spectre, tradition prescribes two remedies. The first is to turn one's cap or coat inside out. This has the effect of stopping the faeu boulanger in its tracks. The other solution is to stick a knife into the ground, blade up. The faeu, in an attempt to kill itself, will attack the blade. 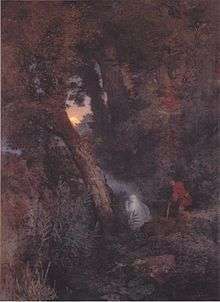 The will-o'-the-wisp was also known as the Spunkie in the Scottish Highlands where it would take the form of a linkboy (a boy who carried a flaming torch to light the way for pedestrians in exchange for a fee), or else simply a light that always seemed to recede, in order to lead unwary travelers to their doom. The spunkie has also been blamed for shipwrecks at night after being spotted on land and mistaken for a harbor light. Other tales of Scottish folklore regard these mysterious lights as omens of death or the ghosts of once living human beings. They often appeared over lochs  or on roads along which funeral processions were known to travel. A strange light sometimes seen in the Hebrides is referred to as the teine sith, or "fairy light", though there was no formal connection between it and the fairy race. Mexico has two equivalents as well. In one they are called brujas (witches), folklore explains will-o-the-wisp to be witches who transformed into these lights. The reason for this, however, varies according to the region. Another explanation refers to the lights as indicators to places where gold or hidden treasures are buried which can be found only with the help of children, in this one they are called luces del dinero (money lights) or luces del tesoro (treasure lights). The swampy area of Massachusetts known as the Bridgewater Triangle has folklore of ghostly orbs of light, and there have been modern observations of these ghost-lights in this area as well. The fi follet (or feu-follet) of Louisiana is derived from the French incubus/succubus. The legend says that the fi follet is a soul sent back from the dead to do God's penance, but instead attacks people for vengeance. While it mostly takes part in harmless mischievous acts, the fi follet sometimes sucked the blood of children. Some legends say that it was the soul of a child who died before baptism. Will-o-the-wisp is a part of the folklore in Brazil, Argentina, Colombia, Venezuela and Uruguay. Boi-tatá (Portuguese pronunciation: [bojtaˈta]) is the Brazilian equivalent of the will-o'-the-wisp. Regionally it is called Boitatá, Baitatá, Batatá, Bitatá, Batatão, Biatatá, M'boiguaçu, Mboitatá and Mbaê-Tata. The name comes from the Old Tupi language and means "fiery serpent" (mboî tatá). Its great fiery eyes leave it almost blind by day, but by night, it can see everything. According to legend, Boi-tatá was a big serpent which survived a great deluge. A "boiguaçu" (a cave anaconda) left its cave after the deluge and, in the dark, went through the fields preying on the animals and corpses, eating exclusively its favorite morsel, the eyes. The collected light from the eaten eyes gave "Boitatá" its fiery gaze. Not really a dragon but a giant snake (in the native language, "boa" or "mboi" or "mboa"). In Argentina and Uruguay the will-o'-the-wisp phenomenon is known as luz mala (evil light) and is one of the most important myths in both countries' folklore. This phenomenon is quite feared and is mostly seen in rural areas. It consists of an extremely shiny ball of light floating a few inches from the ground. In Colombia, La Candileja is the will-o-the-wisp ghost of a vicious grandmother who raised her grandchildren without morals, and as such they became thieves and murderers. In the afterlife the grandmother's spirit was condemned to wander the world surrounded in flames. The earliest attempt to scientifically explain the causes of ignis fatuus was by the Italian physicist Alessandro Volta in 1776 when he discovered methane. He proposes that natural electrical phenomena (like lightning) interacting with marsh gas may be the cause of ignis fatuus. This was supported by the British polymath Joseph Priestley in his series of works Experiments and Observations on Different Kinds of Air (1772–1790); and by the French physicist Pierre Bertholon de Saint-Lazare in De l’électricité des météores (1787). This is a name that is sometimes applied to a phenomenon perhaps more frequently called Jack-o'-the-Lantern, or Will-o'-the-Wisp. It seems to be a ball of fire, varying in size from that of a candle-flame to that of a man's head. It is generally observed in damp, marshy places, moving to and fro; but it has been known to stand perfectly still and send off scintillations. As you approach it, it will move on, keeping just beyond your reach; if you retire, it will follow you. That these fireballs do occur, and that they will repeat your motion, seems to be established, but no satisfactory explanation has yet been offered that I have heard. Those who are less superstitious say that it is the ignition of the gases rising from the marsh. But how a light produced from burning gas could have the form described and move as described, advancing as you advance, receding as you recede, and at other times remaining stationary, without having any visible connection with the earth, is not clear to me. On visiting the spot at night, the sensitive flames retired as the major advanced; but on standing quite still, they returned, and he tried to light a piece of paper at them, but the current of air produced by his breath kept them at too great a distance. On turning away his head, and screening his breath, he succeeded in setting fire to the paper. He was also able to extinguish the flame by driving it before him to a part of the ground where no gas was produced; then applying a flame to the place whence the gas issued, a kind of explosion was heard over eight or nine square feet of the marsh; a red light was seen, which faded to a blue flame about three feet high, and this continued to burn with an unsteady motion. As the morning dawned the flames became pale, and they seemed to approach nearer and nearer to the earth, until at last they faded from sight. Blesson also observed differences in the color and heat of the flames in different marshes. The ignis fatuus in Malapane, Upper Silesia (now Ozimek, Poland) could be ignited and extinguished, but were unable to burn pieces of paper or wood shavings. Similarly, the ignis fatuus in another forest in Poland coated pieces of paper and wood shavings with an oily viscous fluid instead of burning them. Blesson also accidentally created ignis fatuus in the marshes of Porta Westfalica, Germany, while launching fireworks. In modern science, it is generally accepted that most ignis fatuus are caused by the oxidation of phosphine (PH3), diphosphane (P2H4), and methane (CH4). These compounds, produced by organic decay, can cause photon emissions. Since phosphine and diphosphane mixtures spontaneously ignite on contact with the oxygen in air, only small quantities of it would be needed to ignite the much more abundant methane to create ephemeral fires. Furthermore, phosphine produces phosphorus pentoxide as a by-product, which forms phosphoric acid upon contact with water vapor. This might explain the "viscous moisture" described by Blesson. One attempt to replicate ignis fatuus under laboratory conditions was in 1980 by British geologist Alan A. Mills of Leicester University. Though he did succeed in creating a cool glowing cloud by mixing crude phosphine and natural gas, the color of the light was green and it produced copious amounts of acrid smoke. This was contrary to most eyewitness accounts of ignis fatuus. As an alternative, Mills proposed in 2000 that ignis fatuus may instead be cold flames. These are luminescent pre-combustion halos that occur when various compounds are heated to just below ignition point. Cold flames are indeed typically bluish in color and as their name suggests, they generate very little heat. Cold flames occur in a wide variety of compounds, including hydrocarbons (including methane), alcohols, aldehydes, oils, acids, and even waxes. However it is unknown if cold flames occur naturally, though a lot of compounds which exhibit cold flames are the natural byproducts of organic decay. A related hypothesis involves the natural chemiluminescence of phosphine. In 2008, the Italian chemists Luigi Garlaschelli and Paolo Boschetti attempted to recreate Mills' experiments. They successfully created a faint cool light by mixing phosphine with air and nitrogen. Though the glow was still greenish in color, Garlaschelli and Boschetti noted that under low-light conditions, the human eye cannot easily distinguish between colors. Furthermore, by adjusting the concentrations of the gases and the environmental conditions (temperature, humidity, etc. ), it was possible to eliminate the smoke and smell, or at least render it to undetectable levels. Garlaschelli and Boschetti also agreed with Mills that cold flames may also be a plausible explanation for other instances of ignis fatuus. In 1993, professors Derr and Persinger proposed that some ignis fatuus may be geologic in origin, piezoelectrically generated under tectonic strain. The strains that move faults would also heat up the rocks, vaporizing the water in them. Rock or soil containing something piezoelectric, like quartz, silicon, or arsenic, may also produce electricity, channeled up to the surface through the soil via a column of vaporized water, there somehow appearing as earth lights. This would explain why the lights appear electrical, erratic, or even intelligent in their behavior. The will-o'-the-wisp phenomena may occur due to the bioluminescence of various forest dwelling micro-organisms and insects. The eerie glow emitted from certain fungal species, such as the honey fungus, during chemical reactions to form white rot could be mistaken for the mysterious will-o'-the-wisp or foxfire lights. There are many other bioluminescent organisms that could create the illusions of fairy lights, such as fireflies. Light reflecting off larger forest dwelling creatures could explain the phenomena of will-o'-the-whips moving and reacting to other lights. The white plumage of Barn owls may reflect enough light from the moon to appear as a will-o'-the-wisp; hence the possibility of the lights moving, reacting to other lights, etc. Ignis fatuus sightings are rarely reported today. The decline is believed to be the result of the draining and reclamation of swamplands in recent centuries, such as the formerly vast Fenlands of eastern England which have now been converted to farmlands. In literature, will-o'-the-wisp sometimes has a metaphorical meaning, describing a hope or goal that leads one on but is impossible to reach, or something one finds sinister and confounding. In Book IX of John Milton's Paradise Lost, lines 631-642, Satan is compared to a will-o-the-wisp when he leads Eve to the Tree of Knowledge of good and evil. Samuel Taylor Coleridge's poem The Rime of the Ancient Mariner describes the will-o'-the-wisp. Two Will-o-the-wisps appear in Johann Wolfgang von Goethe's fairy tale The Green Snake and the Beautiful Lily (1795) and his play Faust. Emily Dickinson's "Those — dying then," a poem about the absence of God and the abdication of belief, closes with the lines "Better an ignis fatuus / Than no illume at all —". The will-o'-the-wisp makes an appearance in the first chapter of Bram Stoker's Dracula. In J. R. R. Tolkien's work The Lord of the Rings, will-o'-the-wisps are present in the Dead Marshes outside of Mordor. The hinkypunk, the name for a will-o'-the-wisp in South West England has achieved fame as a magical beast in J. K. Rowling's Harry Potter series. Civil War Confederate soldier and author Sam Watkins writes in his war memoir, "Co. Aytch", about witnessing "jack-o-lanterns (ignis fatui)" while standing watch late in the night near Corinth, Mississippi in early October, 1862. In classical music, one of Franz Liszt's most challenging piano studies (the Transcendental Etude No.5), known for its flighty and mysterious quality, bears the title "Feux Follets" (the French term for Will-o'-the-wisp). The phenomenon also appears in "Canción del fuego fatuo" ('Song of the will-o'-the-wisp') in Manuel de Falla's ballet El amor brujo, later covered by Miles Davis as "Will-O'-The-Wisp" on Sketches Of Spain. In Rodgers & Hammerstein's "The Sound of Music", the main character, Maria is described as a Will-o'-the-wisp in the song "Maria". The German name of the phenomenon, Irrlicht, has been the name of a song by the classical composer Franz Schubert in his song cycle Winterreise. Additionally, the first solo album of electronic musician Klaus Schulze is named Irrlicht. Part 3, Scene 12 of Hector Berlioz' "The Damnation of Faust" is entitled "Menuet des follets" - "Minuet of the Wills-o'-the-Wisp". Finally, the second movement of Edward MacDowell's "Woodland Sketches" is titled Will-o-the-Wisp and reflects other composer's portrayal of the phenomena as mysterious. Will-o'-the-wisp is mentioned as an enemy for the hero to overcome in the lyrics of the title track in German power metal band Helloween's 1988 record Keeper of the Seven Keys: Part II. Will-o'-the-wisp phenomena have appeared in numerous computer games (such as Castlevania, Runescape, Ultima, EverQuest, the Quest for Glory series, and the Elder Scrolls series) and tabletop games (including Dungeons and Dragons, Magic: the Gathering, and Small World Underground), frequently with reference to folklore of the phenomena misleading or harming travellers. The Final Fantasy series also pays tribute to the tradition of a will-o'-the-wisp being a lantern-carrying individual, with the Tonberry creature. The Will o the Wisp is also a monster in Chrono Cross that either moves away from the character as they approach or follows them when they walk away. It is seen in areas relating to the dead. In the Pokémon game series, the move "Will-O-Wisp" can inflict a burn on the opponent and is often learned by Ghost-types. The character of Wisp from the Animal Crossing series is also named after the Will-o'-the-Wisp, and references the phenomenon by being a ghost. In the Mana series, Wisp is one of the eight Mana spirits, representing the element of light. In Secret of Evermore, a spin-off of the Mana series, Will o' the Wisps are small flame enemies located in a swamp area that move erratically toward the player. In Sonic Colors, there is an alien race known as Wisps that can enter the bodies of other beings in a ghost-like fashion, which may be a reference to the phenomenon. In television, Willo the Wisp appeared as a short cartoon series on BBC TV in the 1980s, voiced by Kenneth Williams. Will-o'-the-wisps play a prominent role in the Disney/Pixar film Brave. In a break from the usual characterization, these will-o'-the-wisps appear benevolent or at least neutral in nature. They are hinted to be spirits of the dead, who aid the living by leading them towards their destinies. ↑ Trevelyan, Marie (1909). Folk-Lore and Folk-Stories of Wales. London. p. 178. Retrieved September 18, 2010. ↑ Wagner, Stephen. "Spooklights: Where to Find Them". About.com. Retrieved 2007-12-08. ↑ Floyd, Randall (1997). "Historical Mysteries: Ghostly lights as common as dew in Dixie". The Augusta Chronicle. Retrieved December 8, 2007. ↑ "Ghost Lights and Orbs". Moonslipper.com. Retrieved November 18, 2011. ↑ Hoerrner, Mark (2006). "History of the Jack-O-Lantern". buzzle.com. Retrieved May 9, 2007. ↑ Pandey, Ambarish (April 7, 2009). "Bengali Ghosts". Pakistan Times. Retrieved November 18, 2011. ↑ "Blog post by the author Saundra Mitchel of the novel "Shadowed Summer" at Books Obsession". Booksobsession.blogspot.com. October 9, 2009. Retrieved November 18, 2011. 1 2 D V Maheshwari (August 28, 2007). "Ghost lights that dance on Banni grasslands when it's very dark". The Indian Express. ↑ Mizuki, Shigeru. "Graphic World of Japanese Phantoms". 講談社, 1985. ISBN 978-4-06-202381-8 (4-06-202381-4). 1 2 3 4 5 Pettigrew, John D. (March 2003). "The Min Min light and the Fata Morgana. An optical account of a mysterious Australian phenomenon" (PDF). Clin Exp Optom. 86 (2): 109–20. doi:10.1111/j.1444-0938.2003.tb03069.x. PMID 12643807. ↑ PDF Archived February 25, 2009, at the Wayback Machine. ↑ "lambent - alphaDictionary * Free English On-line Dictionary". Alphadictionary.com. Retrieved November 18, 2011. ↑ "House Shadow Drake - Water Horses and Other Fairy Steeds". Shadowdrake.com. Archived from the original on September 27, 2011. Retrieved November 18, 2011. ↑ "Colypixy". Pandius.com. Retrieved November 18, 2011. ↑ Folklore of Guernsey by Marie de Garis (1986) ASIN: B0000EE6P8. ↑ William Grant Stewart (1823). The Popular Superstitions and Festive Amusements of the Highlanders of Scotland. pp.161-162. ↑ Alasdair Alpin MacGregor (1937). The Peat Fire Flame: Folktales and Traditions of the Highlands and Islands. pp.284-285. Moray Press. ↑ John Gregorson Campbell (1902). Witchcraft and Second Sight in the Highlands and Islands of Scotland. pp.169-172. James MacLehose and Sons. ↑ John Gregorson Campbell (1900). Superstitions of the Highlands and Islands of Scotland. pp.6-7. James MacLehose and Sons. ↑ Melton, J. Gordon (1999). The Vampire Book. Visible Ink Press. p. 7. ISBN 978-1578592814. ↑ "North American Vampires". VampireUnderworld.com. ↑ "O BOITATÁ" [The BOITATÁ]. Terrabrasileira.net (in Portuguese). Archived from the original on December 18, 2009. Retrieved November 18, 2011. ↑ Ciardi, Marco (2000). "Falling Stars, Instruments and Myths: Volta and the Birth of Modern Meteorology". In Fabio Bevilacqua & Lucio Fregonese. Nuova Voltiana: Studies on Volta and His Times (PDF). Editore Ulrico Hoepli. p. 43. 1 2 3 4 Tomlinson, Charles (1893). A. Cowper Ranyard, ed. "On Certain Low-Lying Meteors" (PDF). Knowledge: An Illustrated Magazine of Science. Simply Worded—Exactly Described. Witherby & Co. 16 (New Series, Vol. III): 46–48. ↑ Owens J.G. (1891). "Folk-Lore from Buffalo Valley". Journal of American Folk-lore. 4: 123–4. 1 2 Blesson, Louis (1832–1833). "Observations on the Ignis Fatuus, or Will-with-the-Wisp, Falling Stars, and Thunder Storms". The Edinburgh New Philosophical Journal. Neill & Company. 14: 90–94. ↑ Joris Roels & Willy Verstrae (2001). "Biological formation of volatile phosphorus compounds" (PDF). Bioresource Technology. Elsevier. 79: 243–250. doi:10.1016/S0960-8524(01)00032-3. PMID 11499578. 1 2 3 A. A. Mills (2000). "Will-o'-the-wisp revisited". Weather. Royal Meteorological Society. 55 (7): 20–26. doi:10.1002/j.1477-8696.2000.tb04067.x. 1 2 Zalasiewicz, Jan (2007). Richard Twitchett, ed. "The spirit of biodiversity" (PDF). The Paleontology Newsletter (64): 20–26. Archived from the original (PDF) on July 27, 2011. 1 2 Luigi Garlaschelli & Paolo Boschetti. On the track of the will-o'-the-wisp (PDF). Dipartimento di Chimica Organica, Università di Pavia. ↑ Persinger, Michael A. (1993). Perceptual and Motor Skills. "Geophysical variables and behavior: LXXIV. Man-made fluid injections into the crust and reports of luminous phenomena (UFO Reports) — Is the strain field an aseismically propagating hydrological pulse?". ↑ Derr, J.S. (1993). Perceptual and Motor Skills. "Seasonal hydrological load and regional luminous phenomena (UFO reports) within river systems: the Mississippi Valley test.". ↑ A Review of accounts of luminosity in Barn Owls Tyto alba. ↑ "Will-o'-the-wisp". The American Heritage Dictionary of the English Language. Houghton Mifflin. 2007. ↑ Milton, John (1877). The Poetical Works of John Milton: Paradise lost. George Bell and Sons. p. 451. ↑ Samuel Taylor Coleridge. "The Rime of the Ancient Mariner". Electronic Text Center. Retrieved 2007-05-30. ↑ Johann Wolfgang von Goethe. "The Fairy Tale of the Green Snake and the Beautiful Lily". ↑ Dickinson, Emily. "Those - dying then". Emily Dickinson Archive. ↑ Stoker, Bram. "Dracula". The Free Library. Retrieved 2007-11-09. ↑ Sam R. Watkins. ""CO. AYTCH," MAURY GRAYS,FIRST TENNESSEE REGIMENT; OR,A SIDE SHOW OF THE BIG SHOW.". FullBooks.com. ↑ "Lyrics from "El amor brujo"". GeoCities. October 26, 2009. Archived from the original on October 26, 2009. Retrieved November 18, 2011.